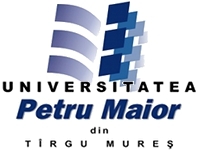 It is with great pleasure that the “Petru Maior” University of Tg. Mures, Faculty of Engineering, invites you to the International Conference Interdisciplinarity in Engineering INTER-ENG 2012. The conference will be jointly organized and hosted by the Department of Industrial Engineering and Management and the Department of Electrical Engineering and Computer Science of “Petru Maior” University of Târgu Mureş. "Interdisciplinarity in development of new technologies"
The conference scope is to provide a professional and scientific forum for engineers and research scientists from universities, research centers and to present research works, contributions and recent developments as well as current practices in engineering.